In this 3-day class Participants learn the best usage approaches for parametric design philosophy through a hands-on, practice-intensive curriculum. Participants will enjoy creating equations and working with parameters model geometry and model display manipulation, resolving feature failures, feature duplication techniques establishing and working with model relationships, placing and constraining/connecting parts in assemblies. 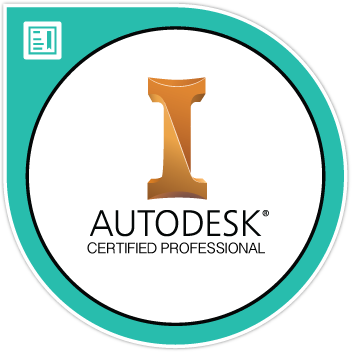 We strongly suggest students take Inventor Introduction to Solid Modeling Intro and be experienced with the Windows operating system. A background in drafting of 3D parts is recommended. A working knowledge of basic design/drafting procedures and terminology is highly suggested.